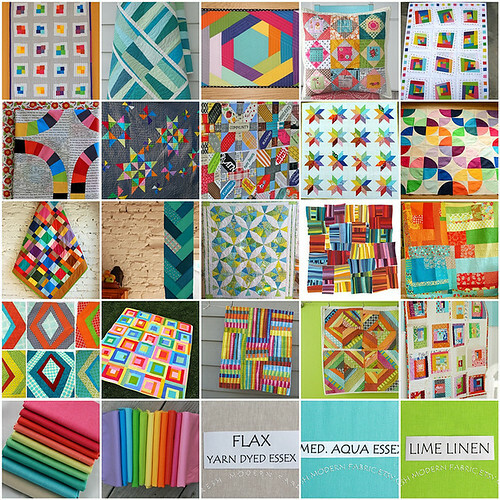 This is the last month of the Twice Around the Block virtual quilting bee and it happens to be my month! I decided to ask the group to make scrappy log cabins. 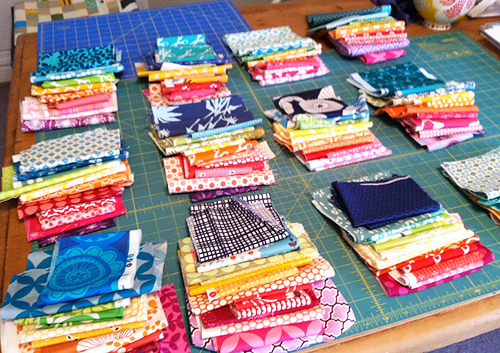 I went through my stash and made little piles of fabric using pink, red, orange, yellow, green, blue and purple. Since I want this quilt to be scrappy, I didn't send anyone the same fabrics. I'm not sure about anyone else, but I find that figuring out how much fabric to send everyone is the hardest part of being in a bee. This month I am also starting in a new bee that sounds really exciting. 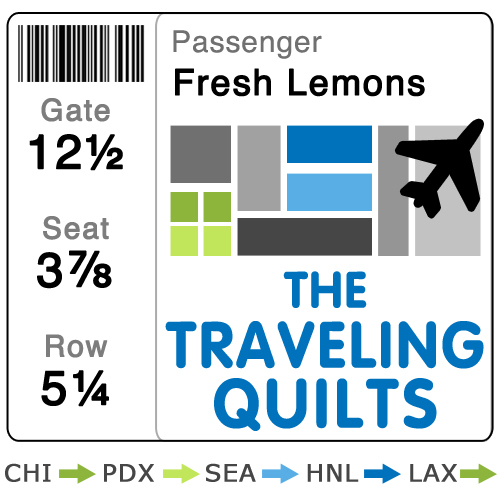 It is called The Traveling Quilts and was the idea of Heather and John. Monica made us all these cool personized buttons! In month one, we will all start our own quilts. A block, a small section, whatever we want. Then we will mail what we created to the next person on the bee list and they will add to the quilt. This will continue throughout the year, each person's quilt being mailed through the group and secretly growing. The last person will quilt the quilt and at the end of the year, we will receive our finished quilt back in the mail as a total surprise! I'm super excited about this concept and am not sure how I got into such an awesome group of people, but I know it's going to be fun! I also signed up this morning (just in time!) 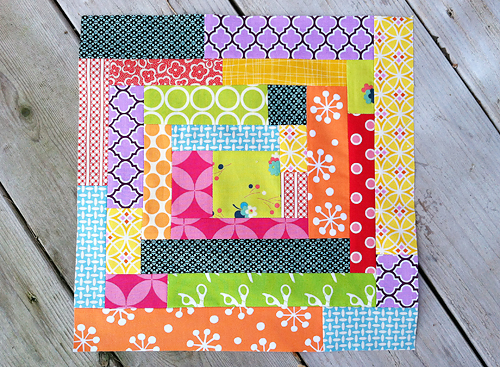 for the second round of For the Love of Solids Modern Swap. I didn't participate in Round 1 but I remember a lot of amazing projects coming out of it. This morning I made my inspiration mosaic. I can't wait to find out who I have for a partner and get sewing!